How to make use of the Board Filter? How to do a Quick Search for a Card? 1. How does "My Queue and Worklog" work? 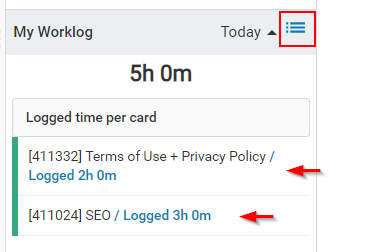 you can track your logged time. You can easily check how much time was logged for each task or how much time was accumulated for: today, yesterday, this week, last week, this month, last month. 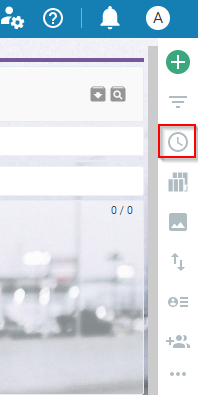 1.1 To open "My Queue and Worklog" -> go to the sidebar located at the right side of your board interface and select the "My Queue and Worklog" icon. 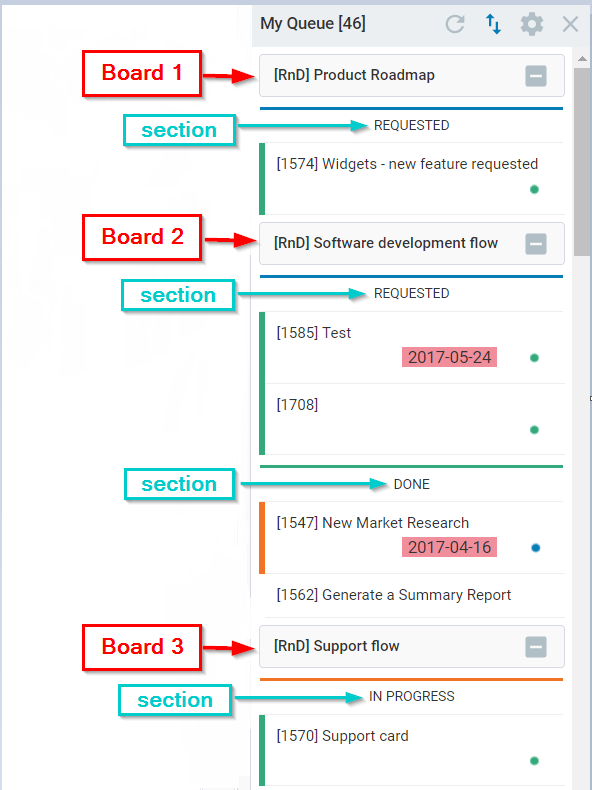 The default view of the panel displays all cards assigned to you across all projects and boards in your company account. The gear settings icon at the top of the panel allows you to configure the information that "My Queue and Worklog" displays. First of all, select the board sections which you want to see cards from: Backlog, Requested, In Progress, Done, Ready to Archive. Show Boards or/and Show sections. In the image below, you can see how Boards and Sections are visualized as well as the card distribution in your account. Use the plus/minus icons to expand/collapse the board view. Note: You can click on any of the cards from My Queue panel to open it, although it is located on a different board. You can choose: ascending or descending order. You can refresh your results through the Refresh icon (2). The number in the brаckets next to My Queue shows the total number of cards, which are assigned to you (3). 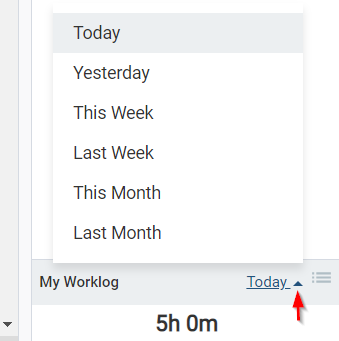 The "My Worklog" functionality is located at the bottom of "My Queue and Worklog" panel. It allows you to check how much time was logged on every task assigned to you. In the example (see the image below), the user has accumulated (logged) 5 hours (Today). Select the Show Cards list icon to get a list of all cards for which time was logged.